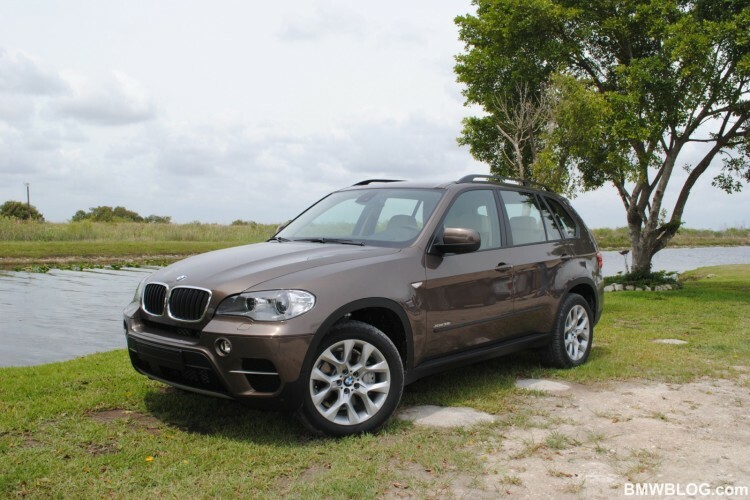 Miami, Florida hosted the International Media Launch of the 2010 BMW X5 LCI, short for Life Impulse Cycle or facelift. During a one day event, several automotive journalists had the opportunity to spend some time with the new X5 xDrive35i, both in a city environment and off-road. While our full test drive review is still in works, we thought we would share with you some photos from this event, portraying the X5 LCI in different situations, some quite extreme. As some of you might recall, the 2010 BMW X5 follows the path of its “brother”, the X6, by introducing turbocharged engines in the North American line-up. Most of the cosmetic changes are visible at the front-end where the new the lower bumper/fascia appears have been lifted and given a little redesign from the X6. To go along with what BMW has been doing lately for the 3 Series facelift, 335is, and F10 5-Series, the X5 features corona rings, or halos as most like to call them, that are full LEDs. The rear taillights get a new L-shaped LED design. 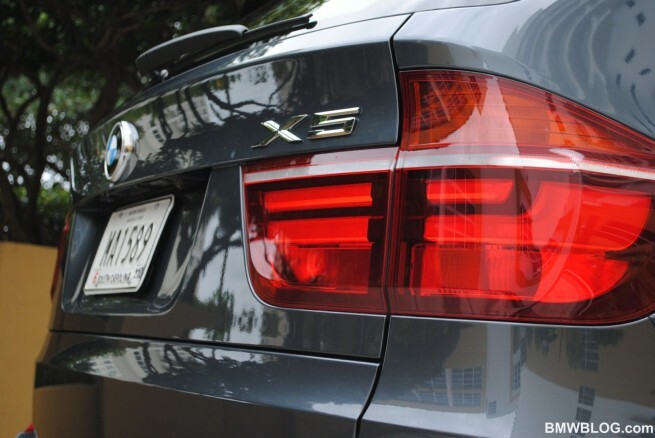 The outgoing X5 had three engine types, the X5 xDrive30i, xDrive48i and xDrive35d. While the diesel xDrive35d survives, the 30i and 48i are replaced by the N55 twin-scroll single turbocharged 3.0-liter inline-6 making 300 hp and 300lb-ft of torque, as well by the twin-turbo 4.4-liter V8 making 400hp and 450lb-ft of torque. So it will now be the X5 xDrive35i and xDrive50i, same with the X6. Zero to sixty times are estimated at 6.4 seconds for the 35i and 5.3 seconds for the 50i. More on our driving impressions tomorrow when we will talk in detail about the exterior design changes and the performance improvement as seen by us in the xDrive35i. Next post What’s the “secret sauce,” of what a BMW is?